Technology is a boon to the world, and internet the world of possibilities, making it easy for anyone from any part of the world to contact people thousands of miles away with just a matter of certain clicks and commands. With the increasing use of technology and social media in our daily lives, people have the internet and its applications, advantages and disadvantages, cheats and hacks, on their fingertips. Social media connects the worlds and make it a global town. It simply finishes the difference of time zones and distances, borders and continents. This has been made possible only because the Internet was born, giving birth to n number of jobs, opportunities, and possibilities that would have never been possible. Social media is huge and multi-faceted. Blogs, forums, social networks, like Facebook, Twitter, Instagram, Google+, photo/video sharing, virtual worlds, etc. all constitute to this massive world called Social Media. Every form has its own pros and cons. 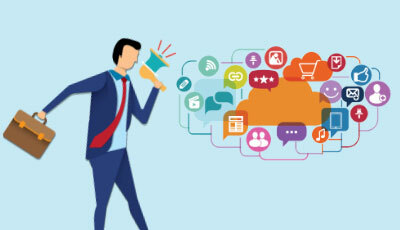 Businesses mainly use social networks as their platform to promote their businesses and market their products and services. With the changing era, social media is being used as a great tool to explore several business opportunities, from advertising their products and services to finding and contacting the target audience. The organizations nowadays especially hire employees to manage their social network accounts and keep the business digitally savvy. There are options for the audience/customers to contact the business directly, with their issues, expectations as well as feedback. The employees in this department make sure that they respond to customers’ query within a specific period of time so that it makes the customer feel important and connected to the organization they have been loyal with for the associated time. On social network people make their virtual accounts by filling in their information like name, date of birth, gender, email address, etc. and can connect with people who have their respective accounts on the social network. This allows them to keep in touch, if not physically at least virtually. People can post photos, videos, thoughts, etc on their account and their contacts can like, share, or comment on it. Social media has both advantages and disadvantages. It works as an advantage if people want to keep in contact with old friends, relatives, colleagues, etc. however, sharing any personal information in the form of photos, location posts, etc can pose threats as well. The best social network so far analyzed, based on its tools and options offered for business and its promotion and marketing is the twitter homepage. Twitter was founded in 2006 and is headquartered in San Francisco, California. 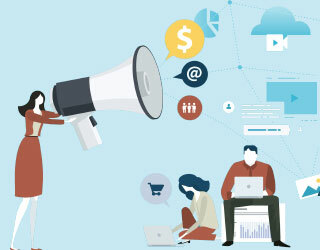 Billions of users send over 500 million Tweets each day, giving businesses a great opportunity to reach the audience of new and existing customers globally. No matter what type of business, what scale and area of business you are, from a wholesaler to a freelancer, from a service provider to a software production company, twitter homepage can be used to build and retain meaningful long-term connection with the targeted audience, further leading to implementation of plans and actions through the network of customers who are loyal to your business. 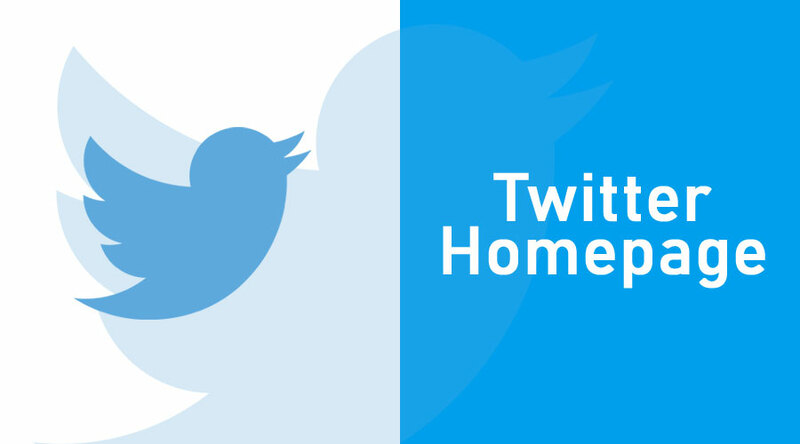 How to use twitter homepage for your Business? 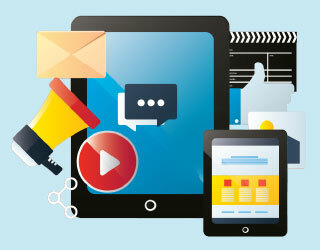 Social media marketing strategy helps both producer and consumer. The seller does not have to be present in the physical marketplace to promote, advertise, distribute, and sell his products and services, and the buyer as well can go through the specifications of the product or service, place the order and get it delivered at their doorsteps. 1) Use twitter homepage to drive people to your company’s website. 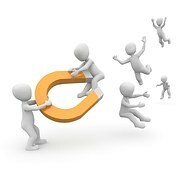 Tweet about interesting resources your employees have posted on your blog or website. Have you recently published a white paper that people can download for free? Tweet about it, linking back to the download page on your website. Anything that’s interesting and unique, people can tweet about it. They can even share your resource with their friends on twitter groups. 2) Monitor your brand on the twitter homepage. Using the aforementioned Twitter Search tool, you can search and track what people are saying about your company, products, competitors or any other hot words in your industry. Set up an RSS feed to receive all search results in Google Reader. If you find someone tweeting about your products or a person who is looking for a solution that your product provides, let them know! 3) Use the twitter homepage “Favourites” feature as a list of company testimonials. To the left of each tweet, lies a little star. By clicking on it, you can add that tweet to your Favourites Tab. As you track what people are saying about your company in Twitter Search, favorite all of the positive tweets. Third-party testimonials are valuable by showing the public what other people think of your company. The next time someone asks about your company, send them the link to your Favourites page. The URL for this page will be http://twitter.com/USERNAME/favorites. a) During the event, people use the HashTag, denoted by ‘#’, while live-tweeting, or tweeting what they see/hear in real-time. The HashTag will collect the event tweets and build an online chat about that particular event. b) People who are not at the event will see your HashTag and may even use it. A popular HashTag often creates excitement, and people can go to Twitter Search to follow the conversation around the event. 5) Use the twitter homepage to promote new tools. Twitter users love new toys, especially if they create some sort of outcome, grade or analysis of the person using the tool. Make the results of your tool/grader as easy to Tweet as possible. Perhaps you could add a “Tweet this grade” function. Make sure your tool is the easiest to share! 6) Establish yourself as a thought leader in your industry. By tweeting about useful resources and thoughtful tips, you and your company will eventually develop thought leadership, and people will consider you an expert in that particular subject. Be sure to link to your own resources as well as others. 1) Develop relationships with reporters, bloggers, and other media people through twitter homepage. Reporters and social bloggers are very active in social networks, especially when gathering cues for stories. 2) Watch for tweets about editorial opportunities. Because the nature of Twitter is very quick-response, it’s a great place for media people to look for last-minute, additional resources for their stories. Track the tweets by reporters or bloggers very closely, and scan for any possible opportunities. It’s a great idea to send reporters’ tips to other resources, showing help and improving relationships with media personnel, regardless of the company. The media person will be thankful for your help and more likely use you as a reference when the subject is applicable to you! 3) Send direct messages (DMs) rather than an email. To send a direct message, you will be forced to frame a crisp and concise pitch that a reporter is more likely to read. Direct messages are less formal, and some media people prefer DMs over emails. It also saves you time. Remember, you can only DM the ones who follow you back. However, don’t pitch too much; they could easily un-follow which makes it much more difficult for you to connect. 4) Use Twitter to check in on your media person before PR pitching. Check to see what the person you’re about to pitch is up to before contacting them. In the event that the person is sick, having a bad day or away on travel—it may be best to contact him or her at another time. 1) Respond to concerns people tweet about your company or products. Designate a specific person in your company to track your company name and products in Twitter Search. That person can address any negative comments, give feedback and help customers solve their products in real time. Quicker the response more impressed the customer! The Comcast tool is a great option for tracking and addressing customer concern. 2) Use your company account to update customers with any temporary downtime. If your organization offers an online service, let your followers know if you predict some technical glitch you are working to fix. Your customers will be less upset and more appreciative that your company is trying its best to relieve the problem and keeps its customers informed. Also, the added benefit of following back everyone who follows your company account is the ability to DM you. 4) Do not send an auto direct message whenever someone new follows you or your company. It’s easy to get into the trap of automating your Twitter homepage activity. Many people will set up an auto direct message (or auto DM) to be sent to every new follower. This looks artificial and could make you appear apathetic about building true relationships with your customers. Reach: constitutes the total number of followers. This number is your raw distribution power. The rate of Response: is the average number of replies per tweet. When you sent out a link or a question, how many people respond? Branding and Exposure: How often are your company’s products or services referred. Use Twitter Search to track. Influence: is the overall effectiveness of your Twitter handle. Assess your followers and their influence. The channel of Distribution: can be assessed by the number of visitors from twitter groups who visit your company website that convert to leads. Using the data from these elements and tracking it over time, you should be able to make smart decisions about how to further utilize Twitter in your campaigns. You can tweet images and build a conversation around them and also old posts from your WordPress site. You can organize people into lists and conversations as well. You can schedule your tweets (using the Buffer app) to go out at important times. Businesses have the upper hand. As the products, services and ideas cannot be stolen from social media because they are already secured by copyrights, trademarks, and patents. However, social media can work wonders for businesses if used in a smart manner. It is not important at all for the management to handle the social media account for the business all the time. Hiring a specialist, who can frame and design the idea in such a manner that it reaches the target audience aptly and even attracts others to use your products/services for once, can prove advantageous. The social network provides so many dynamic tools to design and adjust the account according to our requirements. Options for personal and business accounts are different, with only a few in common. Twitter is ranked the best among all social networks to promote business and stay in touch with the target audience as well as corporate partners by regular tweets and re-tweets. Following the above will help your business grow digitally and reach the platforms that you could have never thought of. Here are some articles that will help you to get more detail about the Twitter homepage for Your Business so just go through the link. Difference Between Facebook VS Twitter – Which Is Best For Business?